•Beach straight down the way - 1.8 Miles - 9 minutes by bicycle. Bicycles are included. 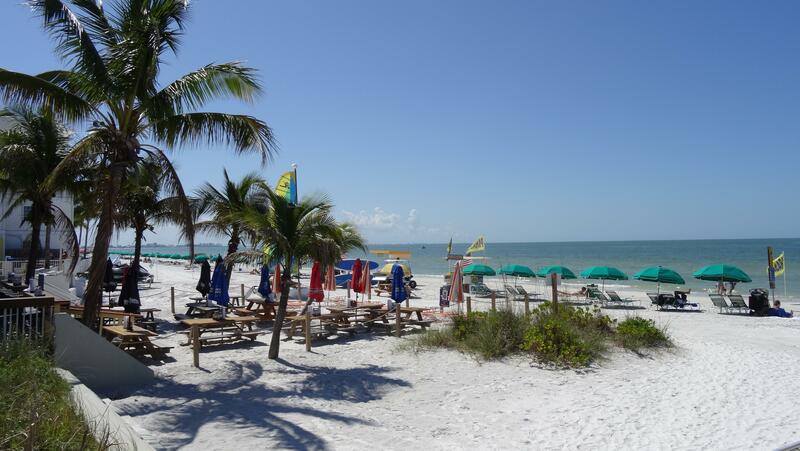 You can easy reach 3 popular beaches by bike: Fort Myers Beach, Bunche Beach and Sanibel Island. 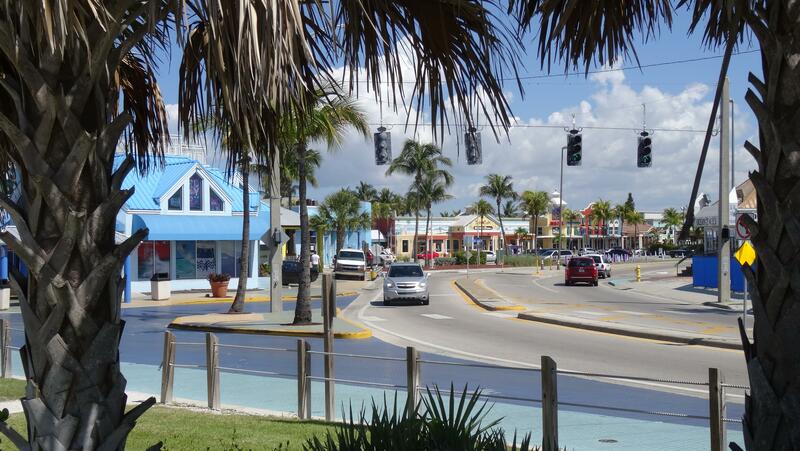 •Restaurants - 350 yards - 5 minute walk - you will find the Buster's Restaurant and many other with a mile. You can even find the Gatorbites Tale & Ale Restaurant with Alligator on the menu. You should try it! •Shell Point Golf Course - 2.1 miles - 10 minutes via bicycle. It is a large public golf course called „Shell Point“ You even can find a driving range at this golf course. 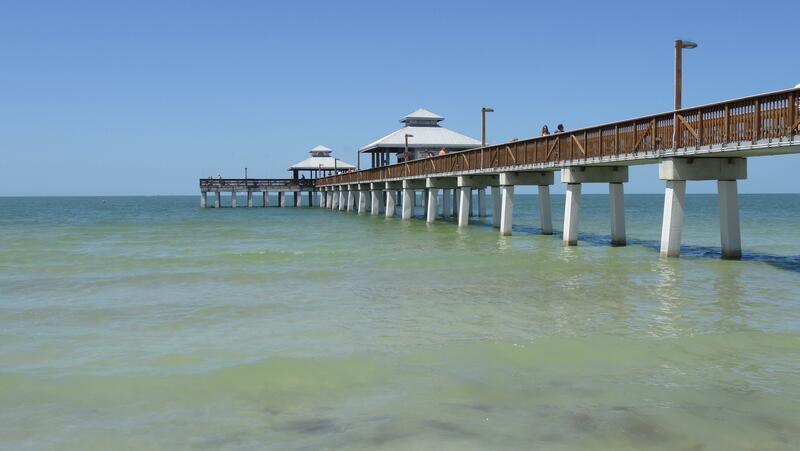 •Kayak and SUP (Stand up Paddle-board) Rentals and Tours form Kayak Excursions - Only 1 ½ miles straight down the road you will find one of the best areas in Fort Myers to go kayaking. From there it's a short 5 minute paddle into San Carlos Bay, or you can explore the creek and its many Mangrove tunnels. 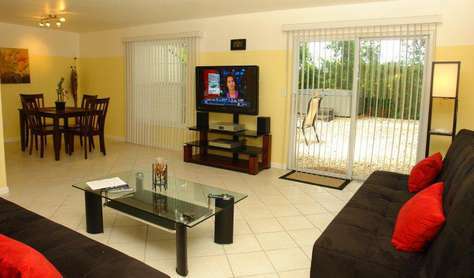 The living room comes with a large Flat-Screen-TV and an Apple-TV box. The Apple-TV-Box is perfect for included, unlimited NetFlix, with thousands of choices for on demand TV-content, movies, series, shows and documentations. 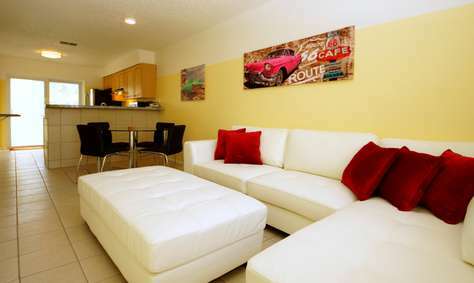 It also comes with news channels and with a large amount of additional programming. Some premium programming require your credentials from your own home TV account provider. It is helpful if you bring that information with you if you want to unlock certain sports or other channels like HBO, Showtime etc. If you own am iPhone or iPad you may even use the AirPlay function to push your iTunes, Amazon Prime movies and any other TV and Movie content to the Apple-TV. Or, to listen to radio stations, the Apple-Box has also a large selection of international broadcast. The small radio has not only regular FM radio stations but also a Bluetooth function to play your iTunes music or other internet radio stations wireless via your Bluetooth enabled smartphone or tablet. I do have a spare computer and initially I have it setup but I can’t warranty if it is always working or being longer removed for repairs. It’s a good intention to give use to my spare computer but it might getting hacked or corrupted etc. It is something I can’t service or supply on call. In short, if the computer is there and working, you are lucky. If not, please don’t complain. The small kitchen has all the usual cooking utilities, silverware, plates, caps and glasses. It has a sink, refrigerator with freezer, a microwave, toaster, coffee maker and a small oven, an modern electrical induction glass-induction-cook-top, compatible pots and a pan, a trashcan, some bowls for salad etc. The rental is equipped with premium King-size mattress. No worries of who is getting the better bedroom. All linens for beds in bedrooms are supplied. The bedroom has a built-in closets for your clothes and luggage. Both sofas in the living room are sleepers and can be folded open to transform into two single beds, just a bit wider than a usual single bed. They will provide to you extra sleeping accommodations if needed. Please take note that I don't supply linens for the sleeper sofas and bring your own if you plan to use them. The bath comes with a shower, toilet and a vanity. The condo has a central controlled air condition and additional a second, separate A/C in the living room for extra cooling during the hot season . 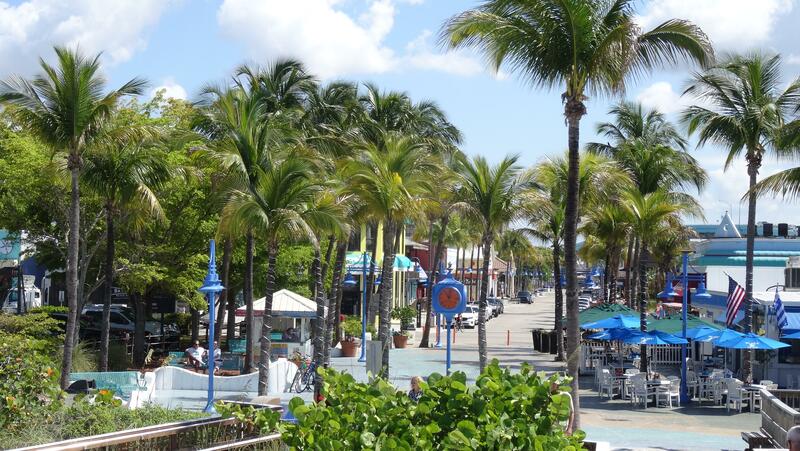 Other as in the neighbor city Cape Coral we have here in South Fort Myers and Iona plenty bicycle trails running mostly parallel to most of the major roads. I supply basic used bicycles for free because they are very useful to get you to the next beach and to explore the area. If you need helmets or locks then please bring your own as I don't supply those. Please note that the garage with the bicycles is located 2.7 miles from this rental. It is an all ground floor condo. All floors are hygienic laid out with polished natural stone tiles. From your glass sliding door you have access to your large screen enclosed lanai, which is Western exposed and offers beautiful sunsets in the evenings. The property is located on a half acres ground with plenty tropical trees, palms and bushes, but also with an open grass area to play badminton or to find a sunny spot on the grass. 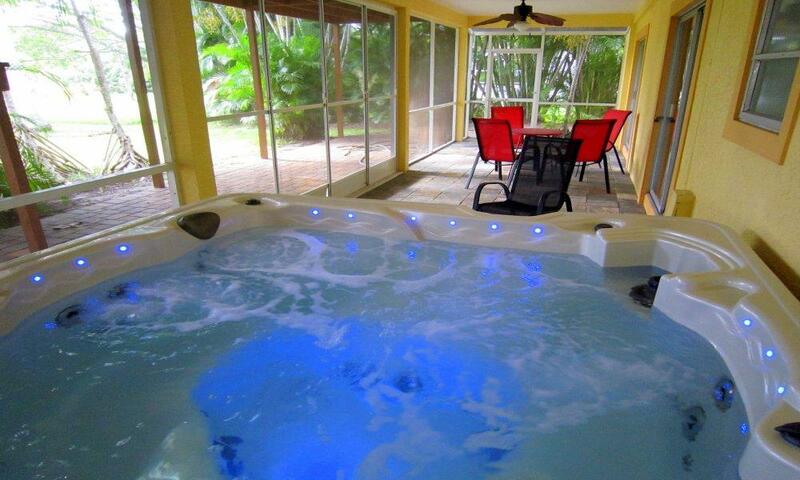 Next to your patio, also within the screened lanai, you find a large power heated hot-tub/whirlpool. You are able to set your own preferred temperature. 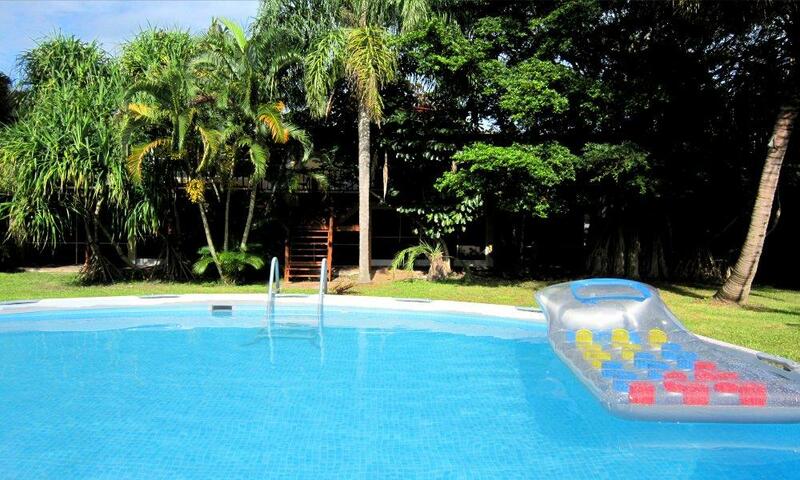 The garden also features a pool (Ø 14′ x 48″ deep) to dip in and refresh yourself during the hot season. If you are an elderly person then you might find it difficult to enter the pool with the small ladder. The garden-pool is open from May 1st until November 1st each year. Garden, Pool and Whirlpool are only accessible by the guests of my building. 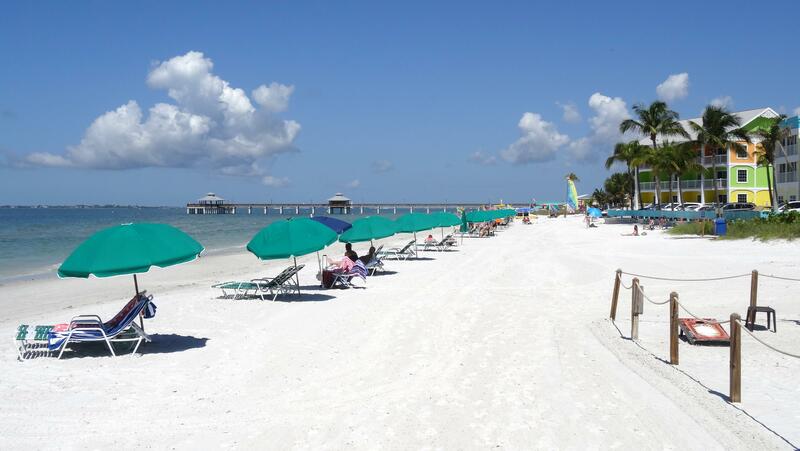 Bathing in the backyards pool or the Gulf’s warm waters is easy possible, the Beach is located just down the road, called Bunche Beach. This property has 1 King(s), 2 Pull Out Sofa(s). I'm giving the Beach House 5 stars because it is what it was advertised to be. Not a lot of extras and you'll have to bring some things and make a run to Publix for items in the beginning, but you know that going in and for the low rental cost and cleaning/pet fee, it is worth it. Print out their very inclusive Arrival Guide before leaving and you'll be set. It can be stressful arriving at your destination at midnight, but we followed everything in the guide and all went smoothly. Later in the week we had a snafu with the battery in the door code mechanism and called the emergency number and everything was rectified in 10 minutes. We were also able to get a late check-out time, which was a lifesaver due to our pet and late flight. This rental company, and the booking assistant, Alexandra, are the best I've ever seen and we will absolutely use them again for the Beach House or any of the other properties they manage. Laura S.
This place was everything it said it was to a T and the owner's guide was very helpful and answered any questions we could have had while staying at his condo. Riding our bikes to the beach was lots of fun and saved us money on ubers so that was definitely a plus. Very much recommend staying here!